Inspired by the quaint fishing village of Portofino along the Italian Riviera, this BASTA SOLE® Umbrella offers the perfect solution in strength and durability for an outdoor umbrella. 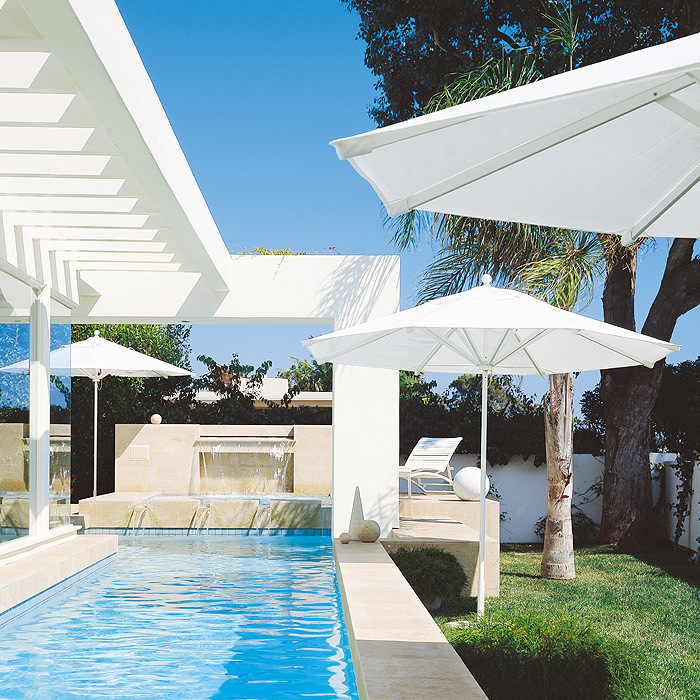 Portofino Umbrellas combine the ruggedness of powder-coated aluminum frames and the gracefulness of traditional umbrellas. Available in a variety of colorful and faux wood finishes, design opportunities are endless with Tropitone's fabric offerings. Complete the look with coordinated BASTA SOLE® Aluminum or Steel Plate Umbrella Bases.